When I initially read the description of this book, it sounded kind of zombie-ish, but some reviewers had mentioned The Rains was different, not the usual trope – so I gave it a chance. The action starts almost immediately and there are some fantastic tension-filled, hold-your-breath moments throughout the story. The author does a wonderful job at showing Chance’s insecurities when comparing himself to his brother, both through his journal entries and actions, and also at emphasizing not everyone’s strengths lie in the same areas. Chance and Patrick have had to rely on each other from a very early age after experiencing heartbreaking losses, and their relationship is one of my favorite things about this book. 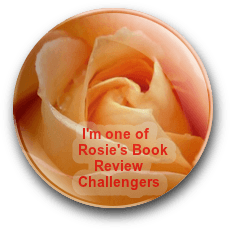 There are a few unexpected twists near the end – some I found interesting, another not so much, but no spoilers here. 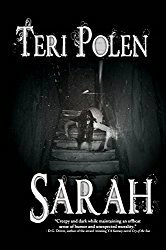 I liked the direction this story was heading and couldn’t imagine where it would go from there, but then a surprising revelation is made, and the walls of this suspenseful novel collapsed around me. I felt cheated. For some readers, this may be a welcome turn of events, heightening the excitement for the next book, so I may be in the minority. 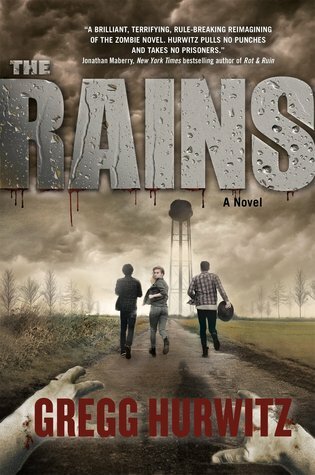 Overall, I enjoyed The Rains and would recommend it to post-apocalyptic fans – it’s well-written and has some likable characters, but was disappointed that it took a well worn path at the end. This book is scheduled for publication October 18, 2016. Thanks to the publisher and NetGalley for the ARC in exchange for an honest review.